One of our 2003 farm-original releases, and we still really like it. A very tidy and compact jewel green oakleaf that matures into a dense buttery-hearted head. 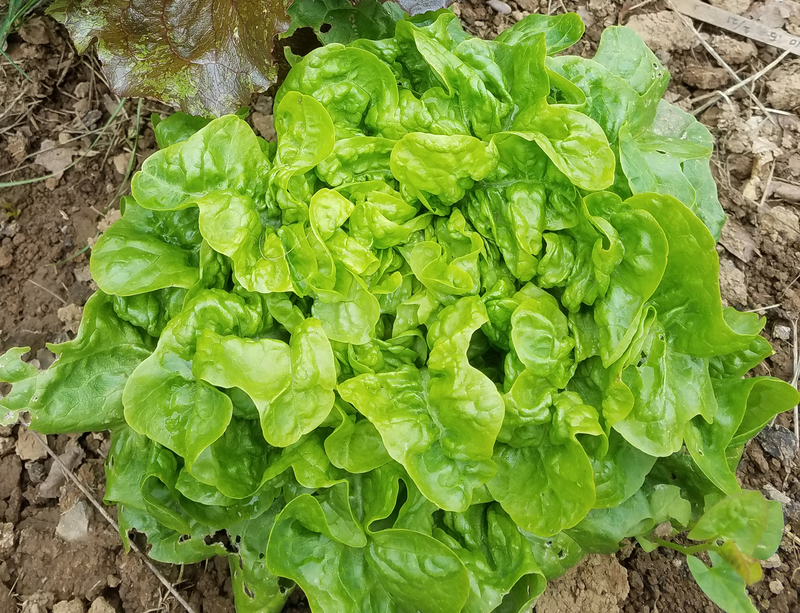 Leaves are perfect salad size from either baby or mature heads. From a cross between Blushed Butter Oak and Deer Tongue, this variety captures some of the best taste and texture qualities of each. A home farm favorite, with raves from trial grounds all around. Tom Stearns’ mother sent her special thanks to us for breeding the tasty little thing. Farm Original Variety! OSSI (Open Source Seed Initiative) Pledged Variety.